VW aims to sell 2M cars in China by 2018. SHANGHAI (Bloomberg) -- Volkswagen has reached an agreement to extend its joint venture with China's FAW Group for another 25 years after concluding that neither side infringed on technology patents. 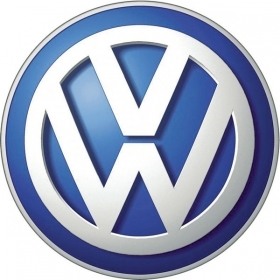 The two companies will extend their partnership beyond 2016, when the current contract expires, expand their product portfolio and jointly develop new business activities, VW said in a statement today. The agreement was reached after a meeting between VW CEO Martin Winterkorn and FAW Group Chairman Xu Jianyi, according to the statement. Both partners discussed the issue of engine and gear box patents and concluded no rights were infringed, the company said in a statement. The German newspaper Handelsblatt reported in July that FAW had illegally copied engine technology and collected offers from suppliers for key parts to a VW gearbox, without saying where it got the information. Christoph Adomat, a VW spokesman, said then that it was looking into the issue. China is key to VW Group's goal of overtaking General Motors and Toyota as the world's biggest automaker by 2018. Group sales in the automaker's largest single market rose 19.6 percent to 2.26 million through October, VW said earlier this month. Volkswagen, which makes Jetta and Audi A6L sedans with FAW, has pledged to invest 9.8 billion euros ($12.7 billion) in China through 2015.